Blue Ridge wants to be your Hometown Title & Settlement Company. We would love to meet you, so here's a little information about us until we meet face to face. Don't take our word for it! Read what other people have to say about doing business with Blue Ridge Title & Settlement Company. New testimonials are always welcome! 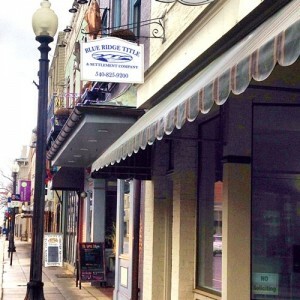 Blue Ridge Title & Settlement Company was the first title and settlement company in Culpeper County when it opened its doors for business in 1998. Closing costs can be one of most confusing issues for any homebuyer, seller or refinancer. Our experience, efficiency and accuracy can assist in making your transaction smooth and effortless. Our office is open to serve you Monday through Friday, 9:00 a.m. to 5:00 p.m.